I’ve started reading a lot of William Hope Hodgson lately. Ever since The House On The Borderland he’s somehow captured my imagination. But that wasn’t my first encounter with Hodgson. Indeed, I’d forgotten there was an adaptation I’d heard of one of his most famous stories. Forgotten until reading the original novelette that is! 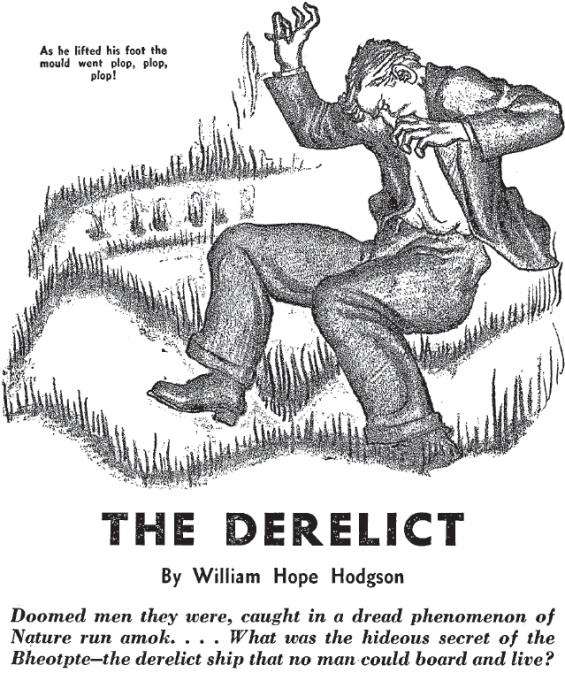 William Dufris, audiobook narrator and audio drama producer, is largely responsible for this terrific adaptation of William Hope Hodgson’s The Derelict. Broadcast and podcast five years ago, it’s still available on the Radio Drama Revival. An unsettling tale of a ghost ship found afloat deep in the Indian Ocean. Produced by Mind’s Eye Productions. First published in The Red Magazine, December 1, 1912. Hey Jesse, thanks for the head’s up on these. 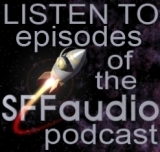 I’ve heard the Dufris audio drama before but hadn’t caught the Cthulhu podcast reading. Very cool! In case you are interested, Hodgson scholar and publisher Sam Gafford has started a new blog about him. It’s got a lot of great info on it and is growing day by day. 19 Nocturne Boulevard has also done a full-cast dramatization of The Derelict as part of its main series.